One of the great things about a school environment is the vibrant and colourful environment, particularly in kindergartens, nursery and primary schools. A modern school building is designed to provide a pleasant, comfortable and ideal environment for learning. Internally and externally, aluminium panels can play a significant part. 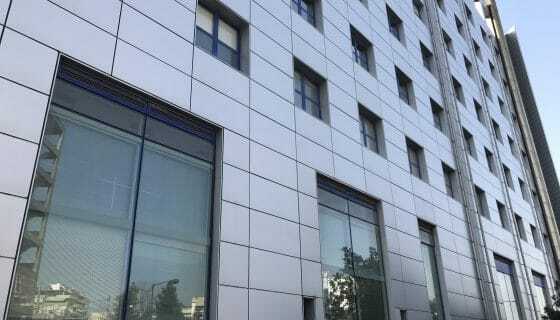 Improving school buildings with aluminium panels. Aluminium panels are a great way of adding colour to the external walls, glazing entrance areas of school buildings, but they can also provide other advantages. At Superior Insulated panels we provide insulated panels in a variety of thicknesses and internal cores. Our panels can enhance the thermal efficiency of a school building as well as provide acoustic properties. Aluminium panels are even available with a fire rating. A lower building maintenance solution. 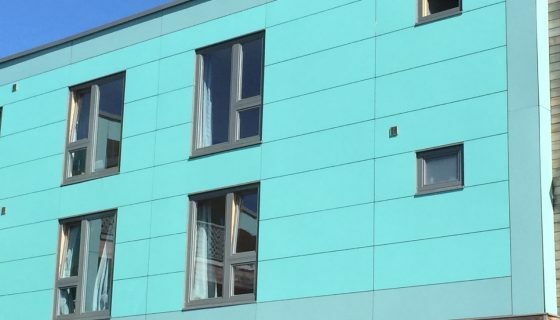 The powder coating or PVF2 finishes used in our aluminium panels provide a more durable external appearance than painted walls. They are easier to keep clean than a painted wall as well. Aluminium panels are easily cut and shaped. 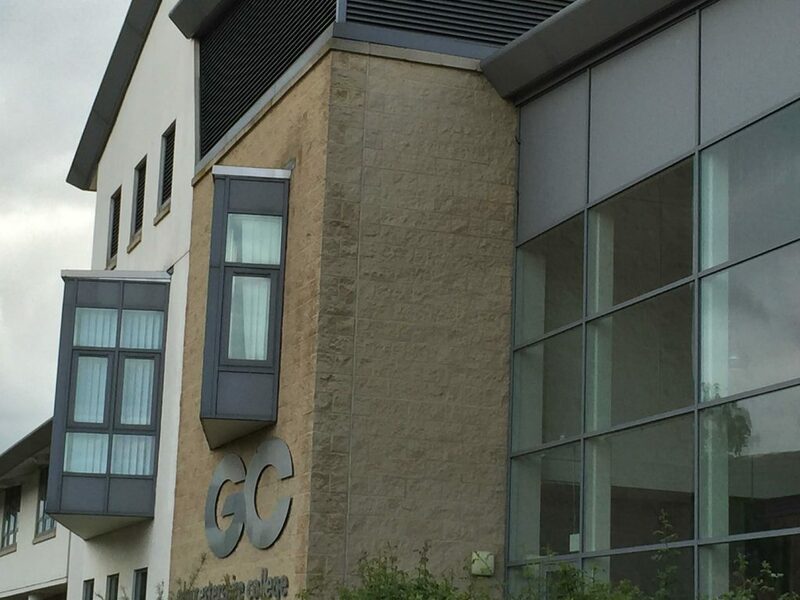 For school entrances, gable areas or anywhere a more decorative appearance is required, aluminium panels are a great solution. Aside from the many colour options available, at Superior, we can cut aluminium panels to virtually any shape as well as provide arched, curved or angled panels as well. Aluminium panels for new or old school buildings. For existing school buildings undergoing refurbishment, aluminium panels can be used to replace old PVCu, timber or any existing infills. 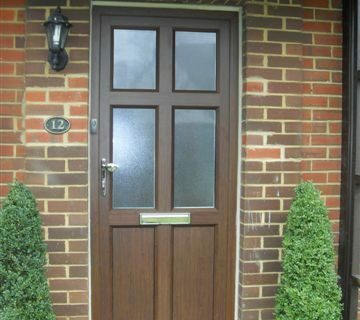 Our panels can be used within existing glazing, windows or doors as well as a replacement external cladding material. Virtually any type of thickness can be accommodated as we custom build the inner tray to suit the building condition. For new school buildings, aluminium panels can be incorporated into external cladding, within entrance doors and ground floor framing, curtain walling, windows and doors. At Superior Insulated Panels we can custom paint our range of aluminium panels in the full spectrum of current colours. Our powders come from the leading global powder providers such as Interpon Akzo Nobel, Tiger, IGP Paints, Axalta and Syntha Pulvin. Our large colour capability also extends to metallic finishes, dual colours, anti-graffiti paints and much more besides. If you are an architect, contractor or glazing contractor and would like further information on our range of panels for schools or other types of buildings, contact us today.